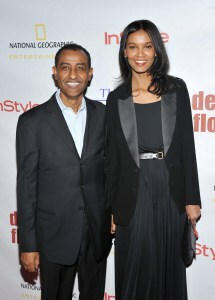 Liya Kebede , who’s having a major moment as the first black model to grace the cover of Paris Vogue in five years, and is a favorite of hot Louis Vuitton designer Nicolas Ghesquière — has quietly separated from her hedge-under husband Kassy Kebede. Liya, 37 — the Ethiopian-born beauty who has been a World Health Organization goodwill ambassador and has her own clothing line, Lemlem — wed Kebede in 2000. He runs Panton Capital Group and previously helped create Deutsche Bank’s global-markets division. Eyebrows were raised in Cannes when Jake Gyllenhaal rushed through a crowd to Kebede at the fest’s opening gala. “Jake focused right in on her,” said a spy.